Have you ever wonder how colours affect our mood? According to studies each colours has the capability to make us happy, calm and energized. For instance, using a blue palette in your bedroom can provide a calming effect. While red on the other hand represents power and confidence. It is also considered to be the most stimulating colour. 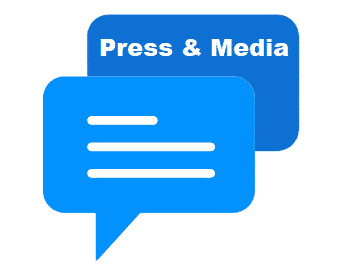 Have a look at the following celebrity houses to get more ideas. If you’re a busy person like Shakira having a bright and massive relaxation room like this is something you need to free your mind. The modern designed relaxation room is filled with white furniture that perfectly compliments the white coloured wall and ceiling. White colour makes the room look more spacious, cosy, peaceful, clean and allowing the natural light in improves your mood. Are you one of those people who love to spend time relaxing in your tub while having a glass of wine? Well, check out Tiger Woods’s luxurious master’s bathroom. It does not only look bright because of the lightings but also the colour palette he uses. The shades are a combination of white and ivory which are perfect to achieve that serene and calming mood of the room. The massive mirrors are perfect accent too. Are you planning to remodel your living room? 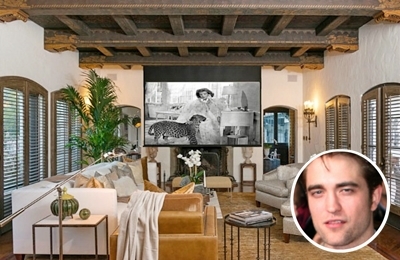 If so, then you should check out Robert Pattinson’s living room of his Spanish Colonial-inspired mansion. He uses a classic and neutral colour palette like brown, beige and silver which fits the “Old Hollywood” theme that he wanted. This colour scheme instantly makes the room look elegant, stylish, and professional. You can never go wrong with white! Just look how spacious, comfy, and neat Ellen Degeneres’s living room. Using a white palette in the living room looks great on opposing backgrounds such as brownish wooden floors, dark coloured decorations, a fireplace and the like. What makes this room fancy are the massive glass windows – it lets you connect to nature which helps you calm your body and mind. Although there are multitudinous ways to prim a bedroom using the right colour scheme that best suits your personality is something you should consider first hand. 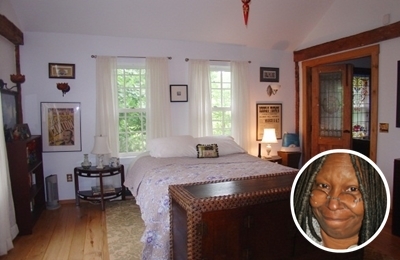 Take a look at Whoopi Goldberg’s bedroom – simple but homey. It features earth tones, wood, and rustic furniture which perfectly stand out because of the white coloured walls. This kind of room can effortlessly give you the comfort you need. 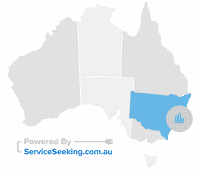 Your living room is considered to be one of the most important areas of your home. 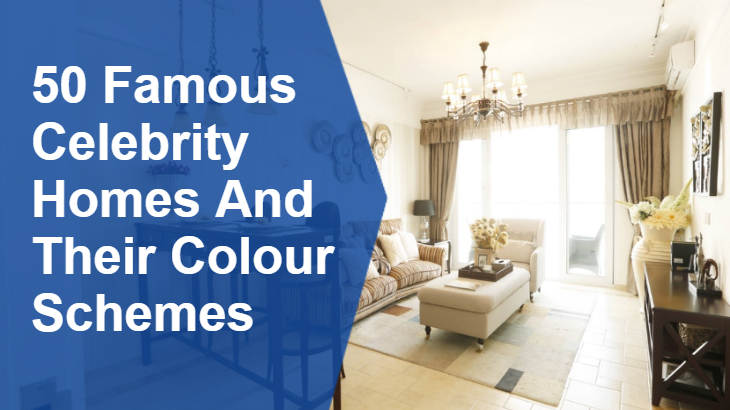 Hence, other than having a spacious living room using a nice colour palette plays a huge role in keeping the room’s warm and welcoming mood. 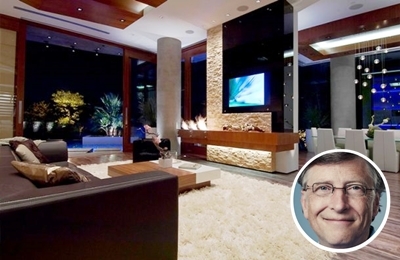 Just like Bill Gates’s luxurious massive living room. The white coloured ceiling and warm lightings neutralizes the dark coloured furniture and wall. Designing a living room is more than just choosing colours, you also need to learn how to mix and match. 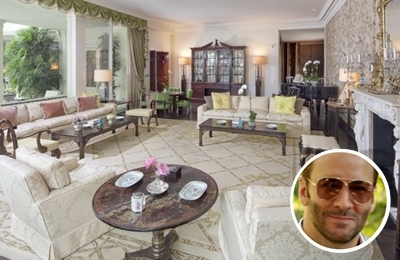 Here’s how Tom Ford’s fancy living room looks like. Because of his talent with fashion, it was easy for him to incorporate neutral colours with his classic inspired furniture. The massive sliding window allows the natural light which instantly makes the room look bright. Who wouldn’t want to have a bedroom that has an expansive deck? This master bedroom is owned by celebrity couple Ginnifer Goodwin and Josh Dallas. They want to keep the place simple but fancy at the same time. White colour is usually used for a bedroom as it creates a calming effect, cleanliness, and airiness. Also, you can easily decorate it according to your liking. This glamorous bedroom is owned by the famous award-winning singer, Celine Dion. The black wall behind the oversized bed makes a perfect statement of the bedroom. This versatile shade can be used as the backbone of your bedroom palette. While the white ceiling and wall balance out each the dark tone which gives a chic, stylish tone. Are you a nature lover? 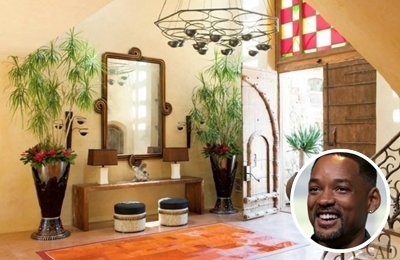 If you are then you better check out Will Smith’s African and nature-inspired mansion. 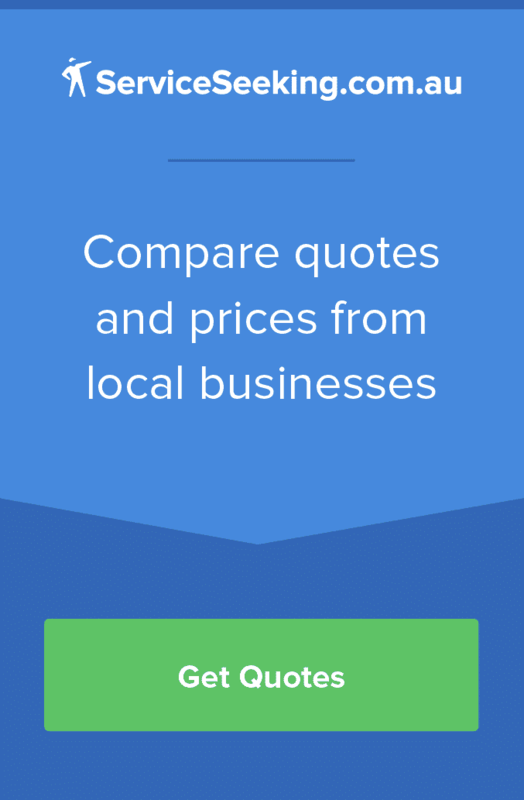 Whether your house is traditional, modern, contemporary you can still give it a bizarre twist – from decorations, furniture, and colour scheme. Combining yellow and orange tone instantly brighten up the house. These colours represent warm and vibrance.